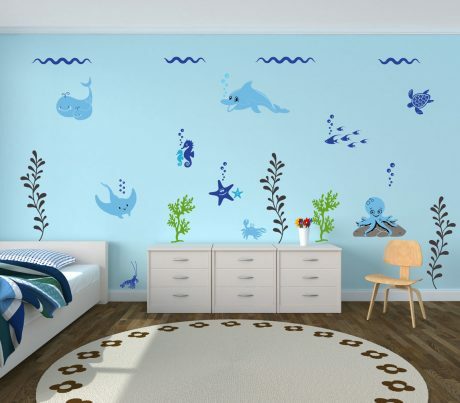 Turn your child’s room or playroom into an underwater playland with this ocean-inspired set of wall decals that include whales, fish, an octopus, a lobster, a crab, a dolphin, a stingray, a turtle, a seahorse, and some starfish. These little creatures will become some of your child’s best friends and will inspire creativity and imagination, while the friendly sea creatures also bring the room to life and give it energy. In addition to the sea animals included with this wall decal set, there are also sea plants and other accents, including waves and bubbles and ocean rocks. This set of ocean creatures, the flora and fauna of the sea, is a great baby shower gift for expectant mothers, many of whom love to use these to decorate a nursery for a new baby. These underwater decals are also great birthday and Christmas gifts. 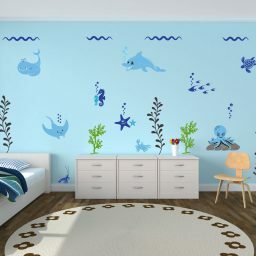 Parents of newborns up to pre-teens love to ocean-themed wall art to give their children’s bedroom, playroom, or other living space a unique feel. 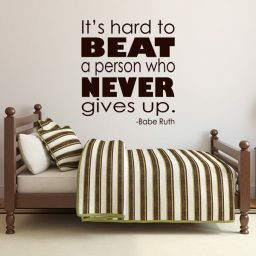 Instead of using paint and other expensive means of adding character and variety to your child’s home base, try this wall decor and find out how easy it is to transform your child’s living space. 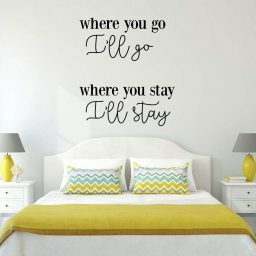 These wall decals fit most standard size bedrooms and playrooms. For size reference, the three tall plants in the scene are approximately 3-feet tall. 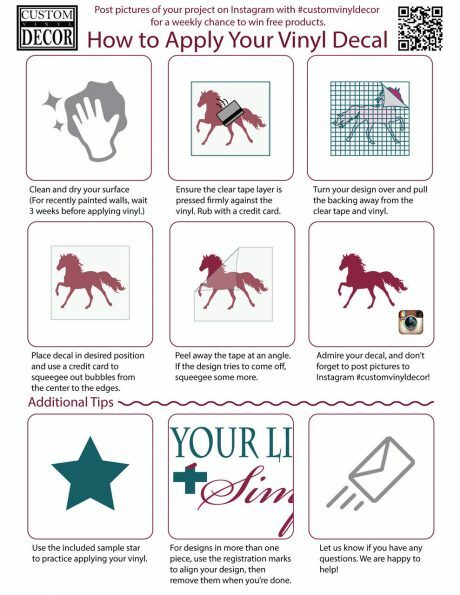 Each of the wall decals come separately, and they can be spaced and arranged according to your own particular preference. This set is also popular for use in ocean-themed museums, daycare centers and preschools, library reading rooms, and wherever else children spend time learning, growing, and experiencing life. Order today, and a member of our team will cut and fulfill your order within one business day. Most orders arrive within 5 business days after purchase.